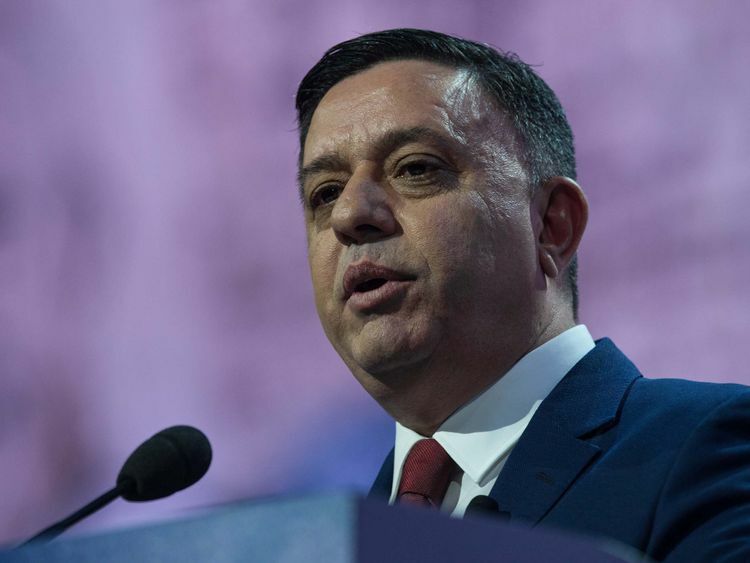 In a letter addressed to Mr Corbyn, Avi Gabbay, the chairman of the Israeli Labor Party, informed the Labour leader of a "temporary suspension of all formal relations".He wrote: "It is my responsibility to acknowledge the hostility that you have shown to the Jewish community and the anti-Semitic statements and actions you have allowed as Leader of the Labour Party UK. "This is in addition to your very public hatred of the policies of the Government of the State of Israel, many of which regard the security of our citizens and actions of our soldiers - policies where the opposition and coalition in Israel are aligned. "He added: "While there are many areas where our respective parties can and will cooperate, we cannot retain relations with you, Leader of Labour Party UK, while you fail to adequately address the anti-Semitism within Labour Party UK." The Israeli Labor Party is the largest opposition party in Israel's legislature, the Knesset.Mr Gabbay's decision to suspend ties with Mr Corbyn comes after the Labour leader has faced weeks of demands to deal with anti-Semitism within his party.The crisis has even seen British Jewish leaders stage an unprecedented protest against Mr Corbyn's handling of anti-Semitism allegations outside Parliament.Mr Gabbay also revealed he had asked one of his officials to "update me quarterly" on Mr Corbyn's response to anti-Semitism, telling the Labour leader: "Should this suspension change, you will be updated accordingly. "In response to the Israeli Labor Party's decision, Mr Corbyn urged them to read Shami Chakrabarti's 2016 report on anti-Semitism allegations against Labour.The Labour leader said: "I wish they would understand that we are utterly determined in every way to drive out anti-Semitism from our society and where it exists - in any party - to drive it out, including my own. "I'd be very happy to have that discussion with them. I think they should have done me the courtesy of asking me first. "Jennifer Gerber, the director of Labour Friends of Israel, who count many Labour MPs and peers among their supporters, said: "We fully understand why the Israeli Labor Party has decided to suspend relations with Jeremy Corbyn. "He has failed to respond to their repeated offers of dialogue, including invitations to host him at Yad Vashem, Israel's national Holocaust museum. 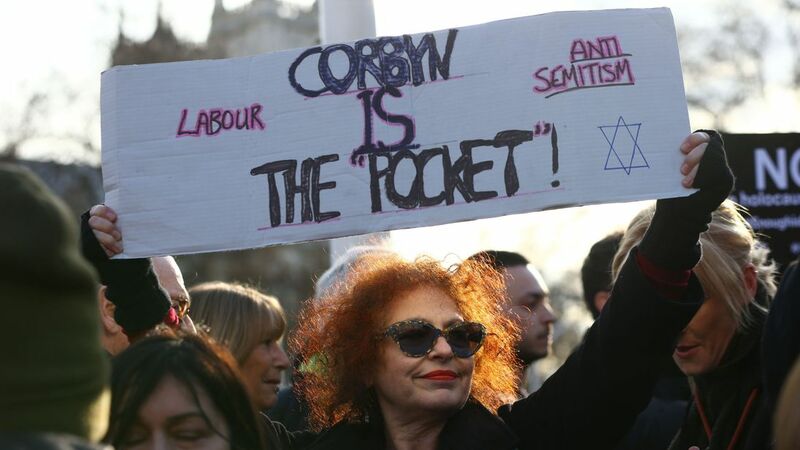 Ethan Schwartz, the international officer for the Jewish Labour Movement, a formal affiliate of the UK Labour Party, said: "International solidarity is a central foundation of socialism. "It's deeply disappointing that the fight against anti-Semitism within the UK Labour Party has come to this. "Clearly this proves that the Jewish Labour Movement's work is more important than ever, and we're not going anywhere. "At the weekend, Mr Corbyn asked for a statement to be read in his name at a demonstration supporting Palestinian people in Gaza, amid fresh violence at the border with Israel.In the statement, the Labour leader called the apparent killing and wounding of Palestinian protesters on the Israel-Gaza border by Israeli forces an "outrage". "Firing live ammunition into crowds of unarmed civilians is illegal and inhumane and cannot be tolerated," he said. "We stand in solidarity with the Israelis who have taken to the streets this last week to protest their Government's actions. "Mr Corbyn also called for the UK Government to support the UN Secretary General's call for an independent inquiry into the killings.Israel believes the protests have been instigated by Hamas as a disguise for terror attacks. Thousands of rocket strikes from Gaza have hit Israel over the past few years.The Israeli military has insisted it has "very strict" rules for its troops on using force in responding to the demonstrations.